eGenix.com offers professional consulting services for all project types using Python, Django, Zope or Plone. We have over 15 years of experience developing Python applications and products, ranging from low-level C interfacing to high-level application design - with special focus on database driven applications and solutions. enable you to benefit from our many years of experience. We provide remote or on-site development, help with integration and problem solving. If you have questions, please contact sales@egenix.com for details. 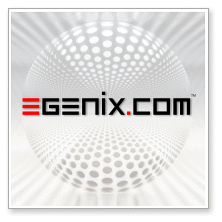 If you want to review our coding standards and -quality, we invite you to take a look at our open-source software which is available as eGenix mx Base distribution. Our commercial (non-OSS) products have been in use by many large companies around the world for years. They have also been integrated into several top-selling products, such as the Inktomi Ultraseek search engine or the IBM OmniFind Enterprise Search line of products. Over the years we have helped quite a few companies develop Python-based solutions and products. As example, we've been working with Point Nine Financial Technologies, London, and helped them develop a very flexible, yet complete and fast time-to-market financial trading system based on Python. eGenix' CEO, Marc-André Lemburg, who has been active with and for Python since 1993/94, is now available as consultant to guide you in the design of your Python applications, help you with your Python projects, build development teams and coach them to excel at using Python. If you are interested in contracting Marc-André, please contact sales@egenix.com for details on availability and rates. You can also visit his blog for more background information. The eGenix.com web-site and its content management system (CMS) is built on Zope's Content Management Framework (CMF) - the basis of Plone. We've built both the site and the CMS from scratch in less than two months. Our mxODBC Zope Database Adapter product provides the best reference for our low-level Zope integration skills.